The Holmes Report's Best Consultancies to Work For are determined by a comprehensive survey of agency employees, at around 40 agencies throughout the EMEA region. Being selected as a Best Consultancy to Work For by the Holmes Report is considered the ultimate benchmark of PR firm culture and workplace performance, in an industry whose primary asset remains its people. 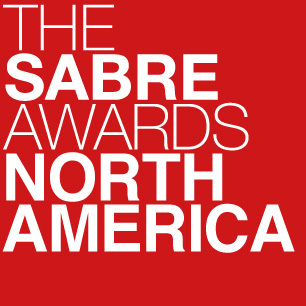 The three EMEA Best Consultancy to Work For Winners received their awards at the SABRE Awards dinner in London on May 19. As APCO turns 30, and works through a management transition, it continues to do the same things that helped it develop into one of the largest independent agencies in the world. The firm has a strong employer brand, underpinned by a culture that encourages inter-office collaboration and a truly global experience—the Global Employee Scholarship program encourages its people to spend time in other offices. But what really sets APCO apart, for many of its employees, is the ability to do meaningful work on important issues. From its headquarters is in bucolic Buckinghamshire, a half-hour train ride from central London, Cirkle has created a progressive workplace culture that has earned it numerous awards over the years. The highlights include a first-class employee wellness programme, an emphasis on work-life balance, the “Rasing the Bar” training, and flexible working initiatives, all key to helping attract a first-rate workforce. Founder Caroline Kinsey talks about a “good mojo” culture in which the core values include trust, flexibility, reward and a commitment to career development.